Everyone’s favorite Muppet has teamed up with the U.S. Department of Health and Human Services to get the word out about an important topic: vaccines. 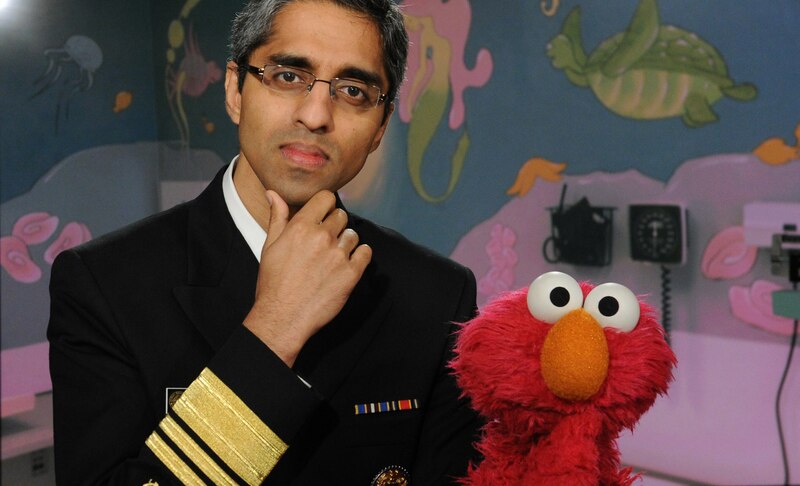 Elmo and Surgeon General Vivek H. Murthy star in a video together to help viewers understand why vaccines are so important and how they can keep you healthy. Among children in the U.S. born between 1994 and 2013, routine vaccinations will prevent an estimated 322 million illnesses, 21 million hospitalizations, and 732,000 deaths over the course of their lifetimes. Despite the heated debates that spring up around the topic of vaccines, it’s incredibly important for folks, especially those with young children, to educate themselves about the realities of vaccines and the diseases they protect us from, especially in light of recent outbreaks of preventable diseases like measles. Hopefully this video — and Elmo! — can help parents walk nervous kids through the steps of getting their vaccines and put everyone’s mind at ease. Can vaccinating moms and non-vaccinating moms be friends?